Monte Siegrist, 85 of Taylorville passed away Wednesday November 28, at his home, surrounded by his family and close friends. He is survived by his wife of 65 years (Lucy), his children Mark, Jay, Scott, Kirk and Julie, 11 grandchildren and 13 great grandchildren and his sister, Sue Siegrist Wilson. He was preceded in death by his son John Lyndon (November 30, 1969), his siblings Max, Malcolm and Ellen Siegrist, and his parents, Walter and Pauline Siegrist. Monte was born on May 20, 1933 in Taylorville, the son of Walter and Pauline (Straughn) Siegrist. He graduated from Taylorville High School in 1951, attended University of Illinois at Champaign-Urbana, where he was a member of the Delta Chi fraternity. In 1953, he joined the Army, met and married the love of his life, Lucy Kuntzman. He went on to raise a family and run a successful business. 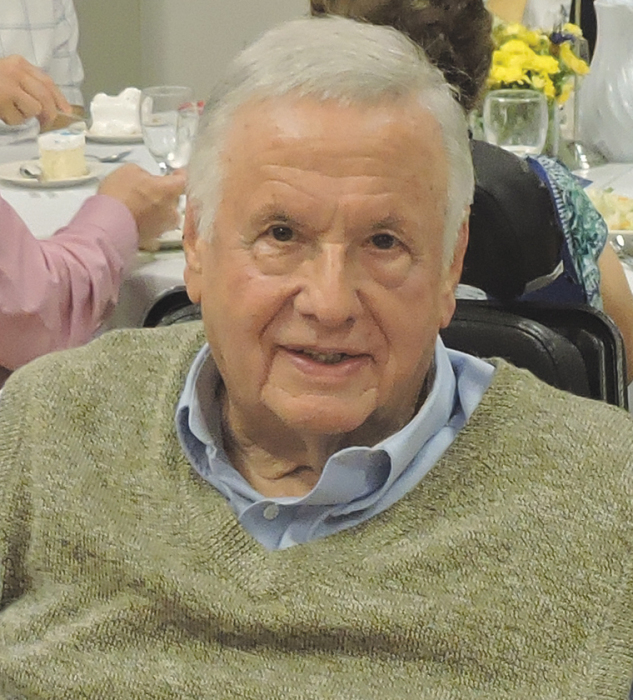 He was a family man, friend, lifelong Democrat, businessman, Eagle Scout, member of St. Mary’s Catholic Church, avid Cardinal fan, entrepreneur, philanthropist, and loved his bubble gum. Among his accomplishments were a Lifetime Achievement Award from the Chamber of Commerce for his lifelong dedication to Taylorville. In 2005, he and Lucy donated a statue of President Abraham Lincoln to the City. He is responsible for over half the housing units built in Taylorville over the past 60 years and was founding President of the Springfield Area Homebuilders. At the age of 80, he returned to college at Lincoln Land. Monte loved to help people, and anyone who knew him knew that he truly cared about Taylorville. Visitation will be at Sutton Memorial Home on Tuesday, December 4, 2018 from 4 to 7 p.m. Prayer service will start at 4 p.m. Funeral Mass will be on Wednesday, December 5 at 10 a.m. at St. Mary’s Catholic Church, Taylorville. Burial will be held at Oak Hill Cemetery with military graveside honors.